Fantastic quality. The same jacket costs twice as much at Bang Good. I bought it in 2 colours. Very impressed with quality, I feel like a 5 Star General now . Delivery was very quick (4 days) and I thought I would have to wait months as I live in the UK. There was no import tax either. I might just buy the black one as well now . Thank you Gear Best . One happy customer . The quality was very good and the design too. The problem was that I ordered the Large size and the jacket was too big. It was like XL or XXL. I sold it to someone wearing XXL! Also the color was not accurate at all! It was almost mustard color instead if the nice brown shown in the store's photo. Jaqueta de excelente qualidade, o acabamento e os detalhes chamam atenção, se destacam! Ideal para dia a dia, tem um visual muito descolado, moderno. Utilizo a minha quase todos os dias indo para o trabalho em minha viagem de motocicleta. Estou muito satisfeito com esta aquisição. Recomendo a compra. All good! The price is advantageous and the shipment is timely. The packaging was perfect. The material is new and just what I wanted. Thanks! The collar is firm but still soft and still stood up after washing. I was also happy that the sleeves were the right length because I wasn't sure from the picture. Does the jacket have a lining or just a lining? That is, does it have that synthetic fur? Lining is made of polyester fiber. Are there any inside pockets? Shown in the pictures . There is one pocket . Yes, there is a pocket on the left inner side. Is good for winter, does it keep you warm at -15C (5 fahrenheit)? 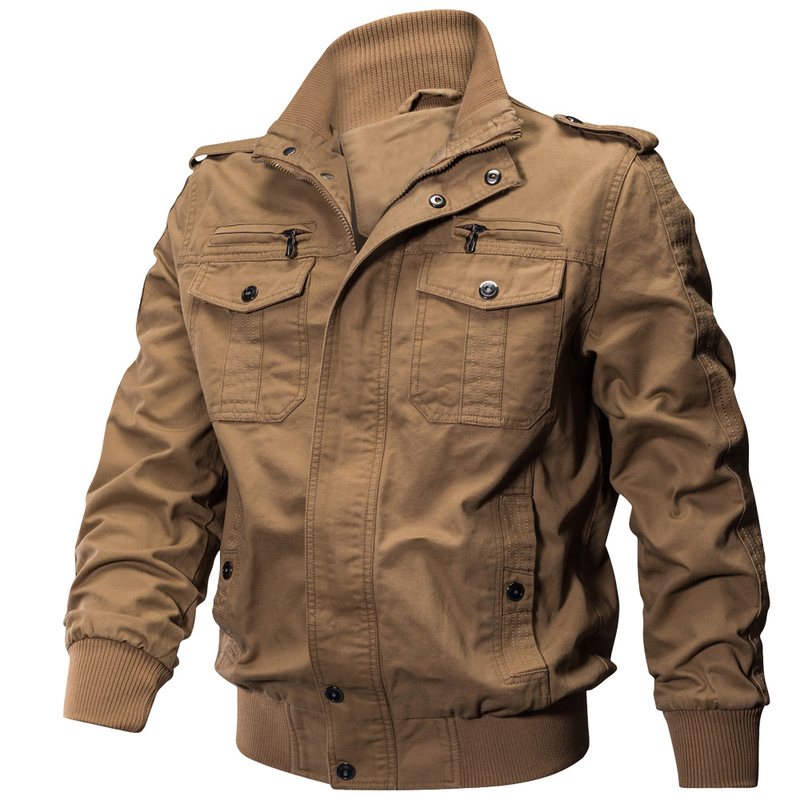 No,it is Autumn Cotton Casual Men's Jacket. I am ordering this product from India. So will I have to pay custom duty or other taxes for this product. If yes, then what will be the tax amount?